Last updated 09 March 2018 . By Liv Fitzsimons. Corner 77's landmark site on Stokes Croft will breathe new life into the space left empty by the closure of MEATliquor. The indoor night food market and bar opening in April 2018 hopes to showcase talented food vendors and events in Bristol. 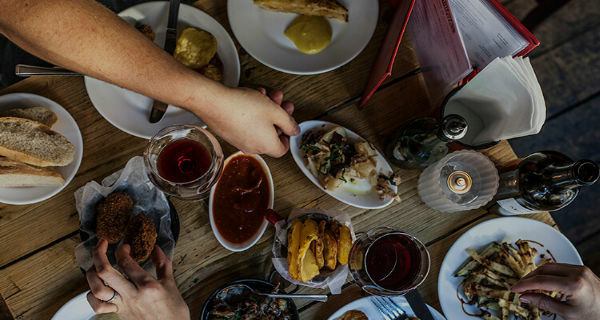 Coming from Kieran and Imogen Waithe who own award-winning Bristol tapas bar, Bravas, Corner 77 looks to bring a fresh, friendly place for the Bristol community to eat, drink, and host events. What's better than another local food market? The only answer is an indoor food market and bar that can be your nightly retreat after work. This multi-functioning space will not only make finding dinner easier, but will be a space for you to enjoy and appreciate local talent through food and entertainment. The space will also be available for you to get your Sunday brunch on and for potential kitchen takeovers, creating an inviting environment between the owners and potential collaborators.